bisoromi and 2 Guests are viewing this topic. Anyhow, how do you know it is the SATA cable that is causing the lag and replacing the SATA connector to something else will fix it? Why do you think using USB-C will eliminate the lag that you experience? I personally don't know enough about the matter to be able to answer this but it's widely accepted as fact from the other owners I've spoken to who know a lot more than I do - surely someone can chime in considering the amount comments that have already been made against. PS: plenty of cable makers within the hobby make USB-C cables nowadays so that argument is moot point. I didn't really argue that you can't or shouldn't get a custom USB-C. In fact I was arguing the opposite with armpit that the cable for VE.A should be custom length but he has a requirement that he wants to use one of his handful of 6 feet long USB-C cables for the keyboard. OK. This is basically hearsay and somehow it is believed to be fact. This is how fake news come to be. There is no prove so far that I can see any lag is due to using a SATA connection between the two halves. If it is because of the SATA connection, then it would happen only (or most of the time) on the right half and not the left half. You can use the left half of the keyboard without connecting the right half. Hitting the Q key for example doesn't require the SATA cable so there should be no lag typing on the left half. In regards to my "requirement" I'm simply stating that USB C cables are becoming more and more common. It's less that I have to be able to use one of my existing cables and more that I can. How many times have you been unable to use something because you either lost or forgot to pack the cable? If you answer never then I'd count you among the few rather than the majority. Who has spare SATA cables lying around as opposed to USB C? You yourself claim that while you only have a couple of USB Devices, you already have 2 cables available. Sorry, not name calling. Just that it came to mind when I try to pronounce your handle. How do you say your name? In any case while would you need to use a 6 feet USB-C cables for VE.A? I'm sure it's been stated already but it's very sad to see that the waited for this lead to no seemingly good changes. Uglier logo (imo), no usb-c, and worst of all still SATA between the halves?? Common. All this time to revamp and hear the complaints about the old one but they appear to have fallen on deaf ears. IIIV is not a Roman Numeral. Positive Vibes. Have 2 VE.As, and have experienced none of the supposed issues with lag from the connector at higher wpms. This is actually the first I've heard of it. I think the new logo is fine; SATA is fine too if that's what you choose to go with. The only problem I have experienced is the keyboard going in and out of connected state with my PC when I used a low quality mini USB cable by accident. Never had any problem with a good quality mini USB cable. I'm glad there's people like this that can give their own opinions based on their own used instead of all the people that watched 1 youtube review and decide the board is trash because of the connector. I've used a VE.A extensively too and the keystroke lag was fairly noticeable, though I do type abnormally fast I still think it's something they should work on - as said I don't know if it's a physical limitation with the type of cable used, I'm not an electrician and I definitely know very little about the subject, maybe it's their implementation of it rather than a problem with the connection; regardless, even if it is an on and off problem, or only a problem for some, I still think it should be addressed especially given the fact that USB-C is becoming so prevalent and is so handy. Or just go with TRRS, we know that one works just fine. You mean electrical engineer, not electrician. the lag may be something to do with the firmware design, or your cable, or your computer's OS, USB driver, USB controller, USB hub, USB cable, or other USB devices you have on your computer. There has been no prove that SATA is the cause of the lag you have experienced non any prove that USB-C connectors would fix it. The SATA cable there is just for wiring up the two halves of the keyboard. The keyboard is not using the SATA protocol and would not use USB protocol if the SATA connectors are replaced with any kind USB connectors. However using USB-C connectors would introduce a usability problem. On the left half there would be one mini USB connector and one USB-C connector, and another USB-C connector of the right half. Someone might ask, "why can't I use the right half of the keyboard when I plug in a USB-C cable to it and connect it to my PC? It is a USB connector so it should work. Trash!" The keyboard is not using the SATA protocol and would not use USB protocol if the SATA connectors are replaced with any kind USB connectors. Someone might ask, "why can't I use the right half of the keyboard when I plug in a USB-C cable to it and connect it to my PC? It is a USB connector so it should work. Trash!" By that same logic someone might plug the VE.A into their motherboard and ask why it doesn't work. Your name really get autocorrected by my phone when I type it in tho. True, but you would have to way more cray cray to make the leap that a keyboard would by connecting it to your PC's SATA port. I used electrician the same way one some times uses the term rocket scientist to refer to someone with x or y sciencey expertise. The unit I used is a friend's and we used it on both of our home PCs as well as my office one with the issue prevalent in all 3 so it's actually not a one and done type of situation where no experimentation took place. It also doesn't have exceedingly heavy switches or anything that could be giving off a wrongful impression of the keystrokes being delayed. I'm still adamant in that I believe the issue should be officially addressed in so that the prospect buyers feel reassured but I understand and appreciate the scepticism. Will the SATA connection be changed? The SATA connection has latency issues and typing above ~100wpm would cause problems. Also, would you consider changing the logo? The way the v1 did it was far more attractive. See below. Hi LightningXI, can you prove it by youtube? Because we've never experienced that issue before. After watching the operation status of the keyboard, RGB, LED, etc. of the video, We are trying to consider a lot of things. Light Saver Acryl (Duck96 base) - Gateron Yellow (Linear / 62g) - Season 1 Fin. Would like to see more than just STS for a plate. BUT i think a big problem is the durability/life span of of SATA ports. They are rated to like 50 to 100 plug unplug cycles? I'd be willing to show something on video, but I actually have sold my own VE.A. some time ago. I've asked the buyer for help and see if it's possible to prove it on video. I apologize for that inconvenience. Perhaps the much more concerning aspect for me is that a SATA connector is not durable. The number of cycles it can sustain for insertion and removal is pretty low relative to other connector types. While I understand that there's ease in using the v1 PCB for the v2, I strongly believe that you will garner a much more positive response by considering a USB C to USB C data transfer as well as aesthetic changes as they are being proposed. There is sufficient evidence that interested parties would prefer these features. In any case, I will advocate for somebody to attempt a video-based experiment on the functionality of the v1, as I do not own one anymore. I'd gladly do it if I were to be able to borrow one as well. I actually don't mind the new logo and badge. I should probably put a point against my comment: I'm not actually against SATA because of the possibility that it effects the board when used at high WPM or because of the potential for port failure after a high number of re-connections - I just think it aesthetically looks bad compared to a USB cable. Sure you can get round SATA connectors, but it's rare to come across nice custom SATA's. Really hyped for this, though I prefer the old logo and a departure from SATA. It’s just way harder to find a replacement connector, with seemingly no benefits. According to this, the logo is changeable and there is a „less colorful“ logo variant that will be (might be?) available. Aaaand it has already been edited in in the OP of this thread, so that‘s that. Really hyped for this board, was also waiting for quite some time now. SATA doesn‘t bother me that much if there are no problems with it, tho the argument that it has less „plug-in/out cycles“ does sound a bit concerning. But I might be in either way. about the 'latency issue' is a suspected situation of low power. There are many different specifications for 'USB'. USB 2.0 support 5V 500mA ~ Max 2A (2000mA). USB 3.1 support 5V Max 5A (5000mA) & 12V & 20V. There is a huge difference in the amount of power available. But, USB-C (for example, Mac) has 5V 45w is Max (about 9A, standard is 5A). If you plug the KBD (full LED, full RGB status) into a hub that low (or None) power, KBD controller may be out of power and cause abnormalities. Had it plugged directly into a USB port (tested both 2.0 and 3.0, both type a) all LEDs off, still had lag. The lag has nothing to do with sata but with the implementation of VUSB that BMC uses, as well as suboptimal i2c connection between the halves. There still was very noticeable input latency on the master half. I don't get it tbh, how did this work during design? "Let's pick a controller whose main purpose is talking to the PC via USB, oh yea this one that has no native USB support makes way more sense than the ones that do offer that functionality"
I'm in, provided that SATA is replaced with USB. I don't believe the cable is responsible for the lag, obviously, it's just a couple piece of wire, but sata ports are incredibly flimsy. I think it's clear from this thread that the IC starter is not very motivated to change the SATA connector to USB. I like retro computing as much as most people here, but this dedication to SATA of all things is just something else. This is by far the worst R2 I've ever seen. All the complaints from R1 were ignored, with extra new stuffs that nobody asked for or wanted. Then don't buy it, simple as that. Let your wallet do your talking for you. He's not going to have any problems selling the ones he does though. 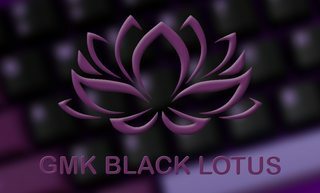 QMK or implement a few missing features in BMC. It's not clear, what are the layout options? I'd really like bottom left to be 1.25, 1.25, 1.25, 2.25, 1.25 (or 1). Is it possible to lose the F-row for a 65% plus Macro keys? I have 3 VE.As from R1, and I've had 2 SATA cables fail on me (with a 3rd starting to give issues). SATA cables are typically solid core wire and not meant to be moved around or bent too much. At least it's the cable which fails and not the plug on the PCB. What makes this better than R1? 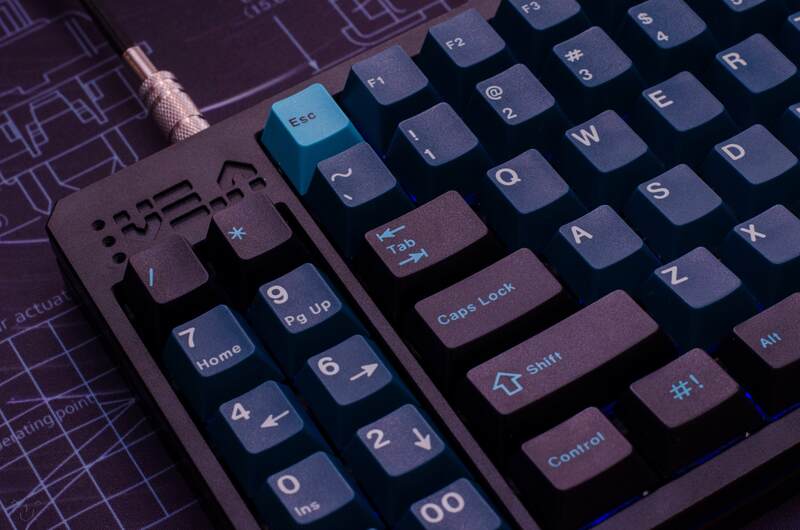 I'm struggling to find anything which would make me consider getting one, and that's a shame because Korean ergos are my "thing". Is it just the cables that are failing or the ports? I don't know much about this issue, but I really don't mind having to swap in a new SATA cable as long as the integrity of the port is fine. the off-brand VE.A uses mini-usb to connect the halves and it appears to work well. 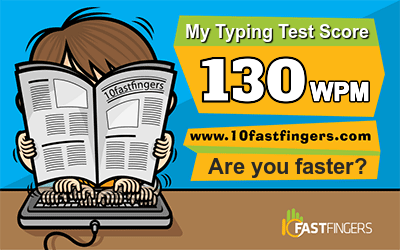 I also haven't noticed any latency issues with it and I would say I type reasonably fast. Even if SATA is acceptable, it's still annoying to have to use yet another different cable for just this board, rather than it conforming with the trend of almost all the other split keyboards. Why don't we just use the old-school ipod charger cable to connect the halves? So you're saying we should ONLY say positive things in IC threads? Are you so against criticism? Can't you stop thinking in black and white and understand that I'm posting here because I really want to get a VE.A ever since OP teased R2 on the VE.A thread since last year or so? I'm just seriously annoyed at how there is seemingly zero worthy improvement to this kit after all this time, and now some people are dismissing criticism as 'fake news' of all things. Ugh. 100% agree that an IC is to check for interest and give feedback. Just because some people might buy this doesn't mean that it's good design or well thought out. You think it is okay to repeat unsubstantiated rumor that SATA connection is causing typing lag? Or can you show prove that it is true? The whole thing has pretty noticable inputlag regardless of how quickly you type, easily 30ms higher than any other board I have. If you want proof, sorry I sold it because of that reason about one and a half years ago. SATA connectors have a very low lifespan rating. SATA cables are harder to find in custom sleeves. SATA cables don't flex very well, making them harder to move and position. Or, put another way, why should we use SATA over the myriad of other options; USB C, TRRS, Mini USB? The only real reason to use SATA here is because the first one had SATA, so we don't have to redesign the PCB. That said, it seems like there are pretty substantial things being done to the case itself, leading me to think that this is less about cost savings. Either way, we're pretty stuck in the dark unless OP wants to chime in on their preference for SATA. I own one, I have been gaming on the ve.1 v1 for a very long time, never has it once lagged in any game or effected my performance on FPS's at all. I have never ever noticed lag with my ve.a. It is fake news until you can prove it's not. Go ahead and show all this magical proof that its the SATA cable that's causing the lag. Once you can do that, you may have a valid point. I've already pointed out that people have experienced similar lag with other pcb's with similar firmware/hardware...and those aren't even split boards. Hell, how can we even say its the keyboard itself? Maybe the people experiencing lag are using a motherboard with a certain USB controller that has issues with the firmware? Maybe they're plugging into s USB hub that's causing lag. Maybe there's 20 other causes for the lag that haven't been considered to anyone. You can be as negative as you want. Don't expect everyone to agree with you, and if you have such huge complaints, there's nothing stopping you from designing your own board with all the fixes you would like to see made. I'm 100% positive you'd have no problems selling these in mass if you can get everything made...Just like this seller is going to have no problem all of these ones as well. Not arguing there aren't any better solution than SATA for connector durability. only arguing there has been no prove that SATA is causing lag. I can imagine there are plenty of reasons why SATA was chosen and why it is staying as it is. OP said they are looking into other options. Whatever else options they investigate, I am sure people including myself will find flaws with them. I think discrediting other people's experience(s) because you didn't encounter the same problem is a little naive though, that said if the bootmapper option fixes it reliably (which should be extensively tested by the person running the buy rather than prospect buyers, imo) then it's not really as big a deal - still silly to use SATA, I think pointing out people calling it a "deal breaker" when it obviously has a bunch of challenges that shouldn't be a thing with a board of this quality/price is hardly warranted. He doesn't need everyone to agree with him, the fact not everyone does doesn't invalidate the fact some do/have experienced the same issue or other problems in general with the SATA cable. I don't understand the political correctness to this extent, you're defending something/someone that doesn't need defending - the idea being pitched is a new VE.A, people are giving input (good and bad) regarding the design and decisions made, just as they do in every other IC which is the whole point. The fact some people seem to think the IC is being "ruined" is ridiculous and worrying. Just because there'll be enough people buying this revision as it stands doesn't mean sales and/or customer satisfaction wouldn't be higher if the concerns people who WANT to buy one have were addressed. Discrediting critical feedback is exactly what you do not want to do, thankfully OP realises that as per his latest posts. Either way, we're pretty stuck in the dark unless OP wants to chime in on their preference for SATA. My man fought the last boss of kb-kustoms to get there. Speaking specifically on this -- I do not have my own VE.A anymore as of the past month, but I experienced this specifically -- when typing a word like "sole" it would type as "soel" -- the right hand side would lag behind the left when typing. I wish I did have the keyboard to test it out for people. I am personally more concerned about the longevity of a SATA connector given the fewer number of insertion cycles it can handle on a basis of mechanical stress.